We love telling you more about some of the brands we carry and we hope you enjoy learning more about some of your favorite brands as well! Today we’d like to tell you a little more about Bassett. Sit back, relax and have a closer look at Bassett! Where did Bassett begin? Once upon a time, circa late 1800s, in the foothills of the Blue Ridge Mountains in Virginia, there was a family named Bassett. They ran a sawmill that supplied rail ties for a new rail line that was being built through the family property. When the rail line was finally completed in 1892, the Bassett family wondered where else they could market their lumber. Family member J.D. traveled the countryside selling goods for general stores and carrying lumber samples from the mill. He soon returned home with the knowledge of the growing furniture industry and demand for raw lumber. It wasn’t long before he had orders for oak from several furniture stores in North Carolina. He then quickly learned that the best market for Appalachian oak was up north and set about conquering those. Eventually, he realized that instead of shipping raw lumber out to various northern locations to be made into furniture that was, in turn, shipped back to the South (amongst other places) that there was no reason furniture couldn’t be made right there! So, in 1902 the Bassett Furniture Company was born. To start, the company had approximately 50 men from the surrounding area, and focused on styles made of oak and featured simple profiles with carved overlays. Early dressers sold for $4.75, washstands for $2.75 and beds for $1.50. (Yes, BEDS were the cheapest. Wha-?) By 1917, company sales reached $1 million (or approximately $21,252,068 in today’s dollar). Post-war years brought rapid growth as suburbs sprang up around the country. Then in the early ’60s, the company bought Prestige Furniture Corp. and added upholstery to its repertoire; after they acquired three other companies to expand bedroom and dining room production. The 1990s saw trends & markets shift again with the death of the “mom-and-pop” stores and the growth of the chain store. So in 1997, Bassett opened their first store. The Bassett of today is similar to the Bassett of yesteryear in their commitment that great, quality, and stylish furniture should be affordable and available to all. They create custom furniture and solutions that make it easy to express your unique sense of style. You can check out their furniture on our site plus use our super neat HGTV Home Studio to create a living room set that is representative of your style, floor plan, and the way you use your room. Or drop by one of our locations today to see everything in person! We love telling you more about some of the brands we carry and we hope you enjoy learning more about some of your favorite brands as well! Today we’d like to tell you a little more about Artisan. Sit back, relax and have a closer look at Artisan! Looking for comfort in a down-home style? Then Artisan is the brand for you! Their unique style is characterized by the variety of materials they use, such as wrought iron, real copper and zinc, and exotic woods including mango and parota wood. All of their pieces feature mortise and tenon joinery on solid wood frames, solid wood drawers, ball bearing glides (bedroom collections), and special features like microfiber lining on top drawers of bedroom case-pieces. With an experienced operation specialized in hand-crafted, old-world looks, you can make sure you are obtaining the best value in hand-crafted, unique pieces! They also try to be good for the environment! Over the last couple of years, they’ve been adding several automatic mills and two Italian Kiln dryers (which enables them to source different types of woods. That keeps their raw material sourcing unique and their product line fresh!) For example, products made under the sustainable woods collections are handcrafted from Mango wood. This timber comes from the Pacific and Atlantic coasts of Mexico. In fact, they recently purchased dozens of acres of Mango tree farm lands that were no longer productive for the food industry and turned them into beautiful furniture pieces. By taking advantage of other industry’s by-products, they lower the impact in our environment. We invite you to check out Artisan’s beautiful furniture at any of our Suburban locations or on our amazing website! Our Ugly Sofa contest is over and done with, and we had a blast (we hope you did too)! Thanks to ALL who sent in pictures of their ugly sofas and participated – you guys ROCK. Also, say hello to our winner Leighann Hoffman of Parsippany, NJ! We’re excited to help Leighann pick out her next sofa with her $700 credit (so is she)! And remember, we can still help you pick out a new sofa as well, if it’s needed. Just swing by one of our locations and grab a friendly salesperson to be on your way to comfort and relaxation! Tags: best furniture prices nj, brands suburban furniture nj carries, decorating homes, how to decorate my home, suburban furniture nj, ugly couches, ugly sofa contest, you're a winner! Browse through some of the amazing sofas that could be yours if you win our ugly sofa contest! Look – the possibilities are endless. We’re still accepting submissions via email to uglysofa@suburbanfurn.com until 8/25, so be sure to get your ugly sofa pics in so you’ll be eligible to win $700 in store credit towards your new sofa! And be sure to check our website to see the rest of our sofa selection (hint: it’s HUMONGOUS!). Relax in comfort on this luxurious three-seat sofa. Upholstered in leather match, you can showcase your style without breaking your budget. This large sofa features exposed wooden feet in a tapered style at the corners and spaced evenly towards the middle for support. This U-shaped sectional brings you the ultimate comfort you’re looking for in a sofa. Its shape can easily seat multiple people, and you’ll love adding your own flair to it by adding fun throw pillows. Its casual yet transitional appearance will complement a variety of room styles, while loose pillow back and seat cushions make this sectional easy to clean. The exposed wood block feet are finished in walnut, creating a great accent against the sofa’s fabric. This is a sectional sofa that the whole family can enjoy and will keep you cozy for years to come. Ultimate style and comfortable seating are yours in this 88″ transitional style sofa. Features a high back with three semi attach back cushions over three box end cushions, arm accented with small nail head trim, front rail accented with larger nail head trim, all help turn this classic transitional style into a work of art. Contrasting throw pillows and kidney pillow with beautiful wooden sculptured legs add the finishing touch. This modern sofa will bring life to your living room. Large, rectangles are featured in the sofa’s oversized track arms, boxed seat cushions and block feet. Chunky rectangles are also drawn in the stitching on the sofa’s back cushions. The crisp lines and blocky look of this sofa gives it a very minimalist style. Tags: best furniture prices nj, brands suburban furniture nj carries, decorating homes, how to decorate my home, interior design, new jersey furniture stores, suburban furniture nj, ugly sofa contest, win a new sofa, win a sofa nj, you're a winner! Recliners are amazing – fab, comfy and man’s best friend during football season. They’re also great for summer too, as they’re perfect for lazing about in. Plus they come in all different sizes and shapes! That means you should be sure you’re buying the right size of recliner for yourself and home (you need to be comfortable for that all-night binge of “The Walking Dead”, right?). Here’s how you can find the perfect recliner that suits your needs so you’ll only partially be a zombie yourself after that TV marathon! First things first, you want to measure your space. Sure, the extra-huge recliners look decadent, but do you really have the room in your home? Generally speaking, it’s the width plus the depth and height of the recliner that affords the most room to relax. For simplicity’s sake, we’ll use the width as the basis for measurement. This Zero Wide Wall Seat Recliner by Signature Design is perfect for snuggling up in, with a good book, blanket and cup of coffee! These guys measure between 40″ and 49″. Check ’em out below! This cutie Casual Upholstered Wall Recliner by Klaussner is not only adorable – it’s comfy! Available in a wide range of fabric and leather upholstery, a contemporary design features a plush seat cushion, attached pub back and pillow top arms. The babies of the recliner family, these “little” ones measure 39” and below. This itsy fella by Best Home Furnishings is a sleek and modern rocker recliner that’s perfect for a round on the laptop! TRADITIONAL: The Traditional Recliner offers two positions: upright and reclined. It can either have a lever that you push, or you can simply push the back of the chair. These recliners are affordable, the most common and are available in varying options. ROCKING: The Rocking Recliner (also known as a glider) is a combination of the traditional and rocking chair features. It’s particularly great for new moms! POWER: The Power Recliner is designed for people with mobility problems. They are secured to the wall and feature a button that converts it into a recliner chair. MASSAGE: The Massage Recliner allows you to relax and get a massage by being fitted with mechanical parts that vibrate and knead your back muscles to remove the stress. Mmmm….Keep in mind these recliners can be heavy & bulky though. Once you land on a recliner size and style that fits your needs, decide on some features and you’ll be set! Drop by our website or one of our several stores to see our huge recliner selection. Happy reclining! Make Your Literature Dreams Come True! Are you an avid reader? Whether you’re more into Stephen King or Kurt Vonnegut, Anais Nin or Toni Morrison, if you love books, you don’t just love reading them but you also take great pride in how you display them. Some people go for funky, vintage to keep their books organized (like one of our employees with her vintage 40s pantry), while others go for an “I want everyone to know EXACTLY who I’m reading” kind of vibe (you know what we mean). However you organize your books – by shape, size, author or in straight lines or zig zags – we’ve got the perfect bookshelves and bookcases to keep your books in tip-top shape! Live your childhood “Beauty & the Beast” dreams out with these fabulous bookshelves & ladder (teacup not included)! College student on a budget? Go funky & inexpensive with these cool shelves. Or go completely minimalist with this totally wicked design (this one is for the serious book-lover!). Trust us when we say these are just a few of HUNDREDS of bookcase designs here at Suburban. Check out our online store to see a bigger selection, then drop by the store to see them in person and get advice from our awesome employees! We love telling you more about some of the brands we carry and we hope you’re enjoying learning more about some of your favorite brands as well! Today we’d like to tell you a little more about Liberty Furniture. So sit back and relax and have a closer look at what Liberty Furniture is all about. Liberty is a privately owned business that designs value-driven, quality furniture. In 1992, Richard Brian took the opportunity to start his own business. He began with a vision of a company that would thrive on the values of hard-work, fairness, and integrity. With only seven people and a modest section of warehouse in west Atlanta, Liberty Furniture opened its doors selling only wood chairs and laminate table tops. Steadily, the company introduced more casual dining styles and the vision that was Liberty began to take form. Early on, when Liberty could only afford a basement level showroom in High Point, Mr. Brian would take chairs out to the street in order to entice customers. This initiative and passion for success is visible to this day and is at the very heart of Liberty. Liberty Furniture is a dedicated provider of all wood products including bedroom, dining, entertainment, occasional and home office categories. Their products were developed using years of knowledge coupled with a vision of the future. By working with industry leading designers and top tier factories, Liberty is well positioned to provide quality products at a great value. They use high-quality wood with the best veneers and conduct an extensive, detail-oriented finishing process, including some level of distressing. In addition, they build their products with high-level hardware to ensure durability. Liberty is widely recognized for its innovative strategies, enjoying private label relationships with some of the America’s Top 100 Furniture Retailers. Why not visit our site or one of our stores today to see what Liberty has to offer YOU? You might just find your next favorite piece of furniture! We love telling you more about some of the brands we carry and we hope you enjoy learning more about some of your favorite brands as well! Today we’d like to tell you a little more about Natuzzi Editions. 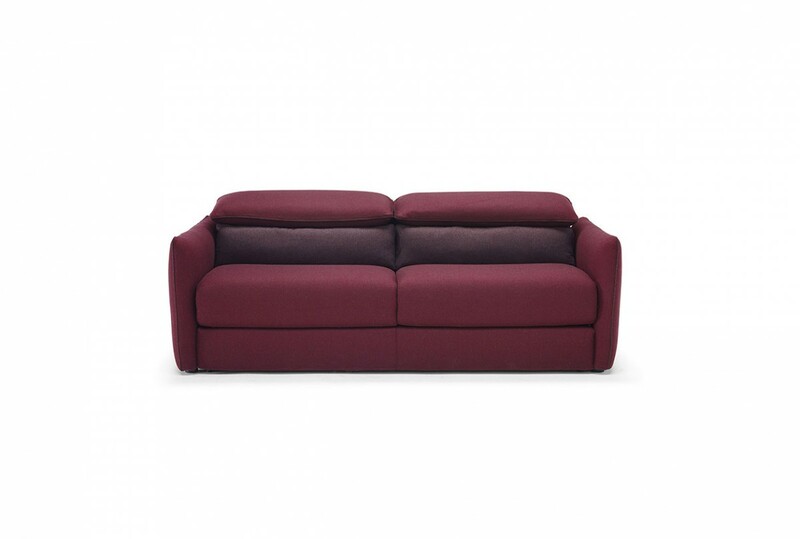 So sit back, relax and have a closer look at what Natuzzi Editions is all about. Natuzzi Editions strives to bring you the latest in fashionable and comfortable upholstered furniture. The options are endless and covers are offered to fit your lifestyle in leather, Dreamfibre and designer fabrics. Their furniture styles are designed with you mind – classic, casual, modern, modular and motion. They offer choices fit for every lifestyle – whether it is the office, the living room or the bedroom. Who wouldn’t want to buy a piece of furniture that stands up to its name? 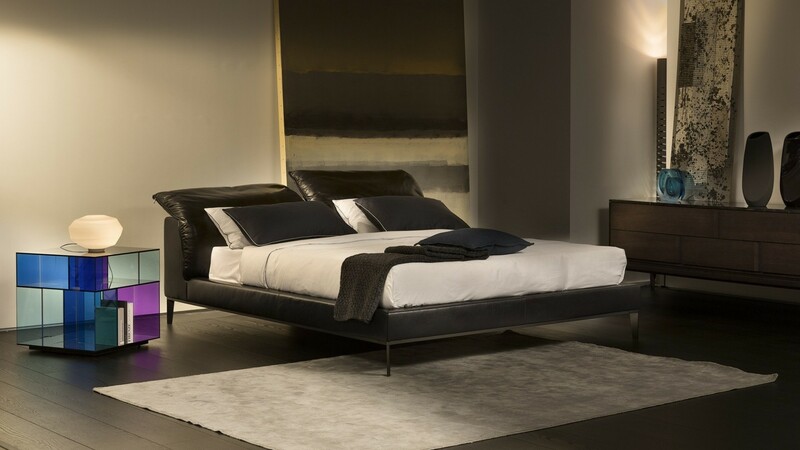 Natuzzi Editions is the Essence of Comfort. Natuzzi Editions combines detail in design and Italian flair for everyday living. Offering styles for every taste and every situation from classic to modern, motion to casual, day to night. Luxury upholstered furniture in an array of covers including leather, microfibre and superb fabrics…all tailored for North America from the world leader in leather furniture. When you desire nothing but the best, you will have confidence in knowing you made the best decision. Visit our website today to browse their selection of beautiful furniture! 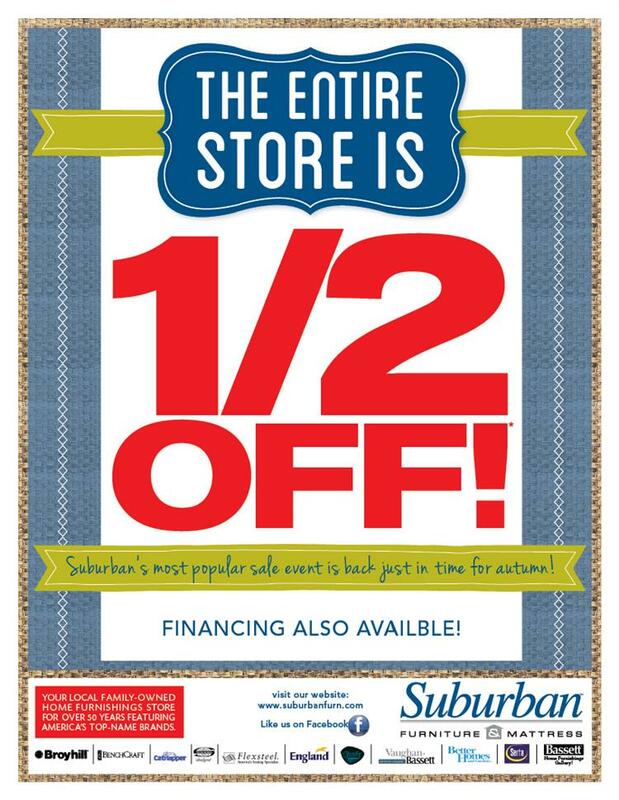 Back to Fall with 1/2 Off! It’s almost fall…bonfires, colorful leaves, sweaters, back-to-school shopping! Back-to-school shopping gets more and more expensive every year with those long lists of sundries and supplies kids need to bring with them. Add in new clothes, backpacks, calculators and the such and it’s a crazy expense. That’s why we’re letting you SAVE money instead with our Fall 1/2 Off Sale! Everything in the store is currently 1/2 off – from sofas to entertainment centers, beds to bookshelves – you can have it all and at a low cost. So save money with us to use for the back-to-school needs. This way Mom gets her new kitchen table and Little Susie gets that wardrobe she’s been coveting. Happy shopping!